The latest launch from the Beauty Kitchen comes in the form of this pouch of goodies a.k.a skincare must-haves, that are perfect for a skin pick-me-up whilst on holiday. 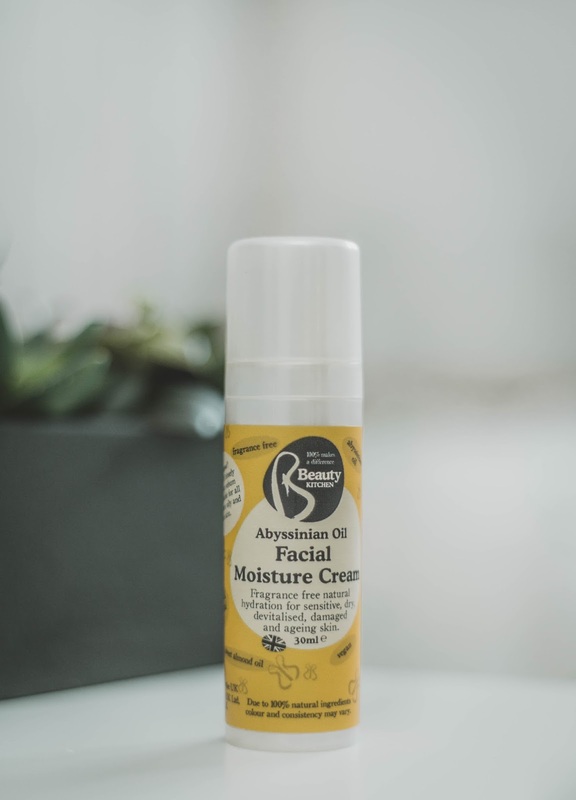 All products have been enriched with Abyssinian Oil which is basically like the big sister of Argan oil, that mimics your skin's own oils leaving you with healthier feeling skin. As I'm off into the Florida sunshine next week, these mini's have come at a perfect time as they are the perfect size for get-aways and can even be used in your hand luggage for an on-flight skincare session, to perk up your complexion. 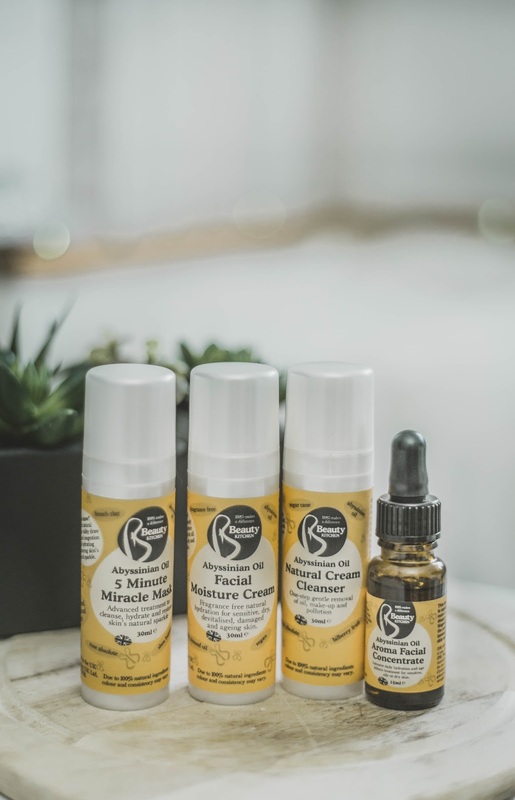 With myself having combinayion/blemish prone skin I was partially intrigued to try these thanks to the added Abyssinian Oil mimicking your own skin and giving it a dose of nourishment. I've been using all products for over 2 weeks now, and can safely say that they've all had their benefits. 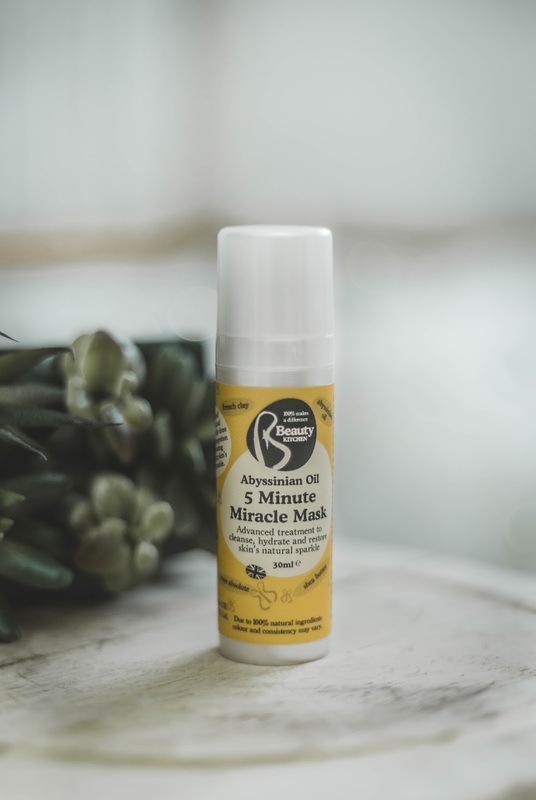 The key stand-out ones for me have to be the "5 Minute Miracle Mask" which I love to use once/twice a week (depending on how 'blemished' my skin is) to unclog my pores and give my skin a boost, plus as it has virtually no colour you could easily get away with using this in-flight. 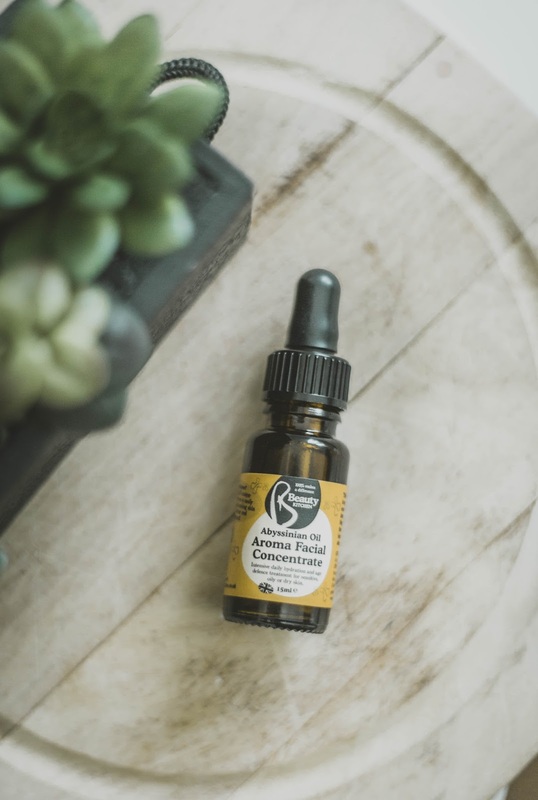 Another stand-out product is the "Aroma Facial Concentrate" which is simply a facial oil that promotes cellular development, and thanks to its unique molecular structure it sinks deep into the layers of your skin. I prefer to use this in the evening once I've fully cleansed my skin, 2/3 drops are all you really need to cover your whole face. 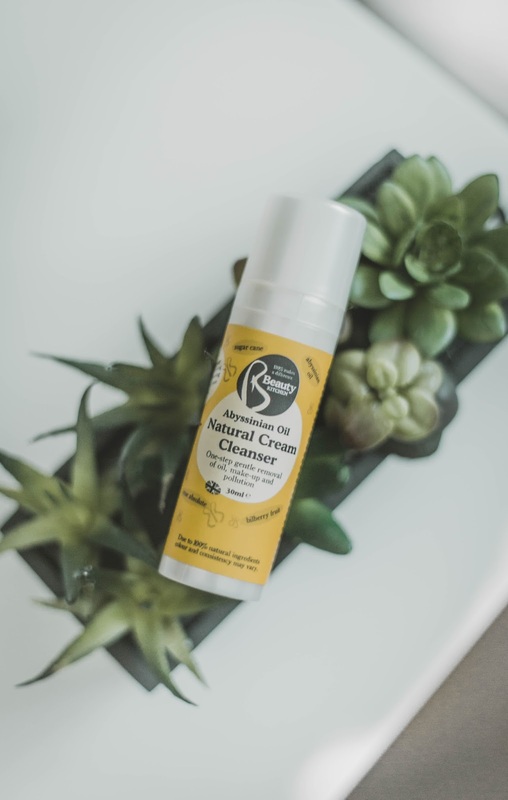 After using this product for a few weeks, I've noticed that the texture of my skin has improved and that (despite having oily skin) it feels more hydrated and my make-up doesn't sink into those unflattering facial lines (e.g. laughter lines etc). With all these products being 100% natural and only 'people tested', never animal. They make a perfect gift for someone about to jet off on holiday, as they are the perfect travel size and help give your skin a boost in the process. Needless to say that they have rightfully taken a place in my suitcase for my travels. They also come in a cute resealable pouch, make them even more travel friendly.